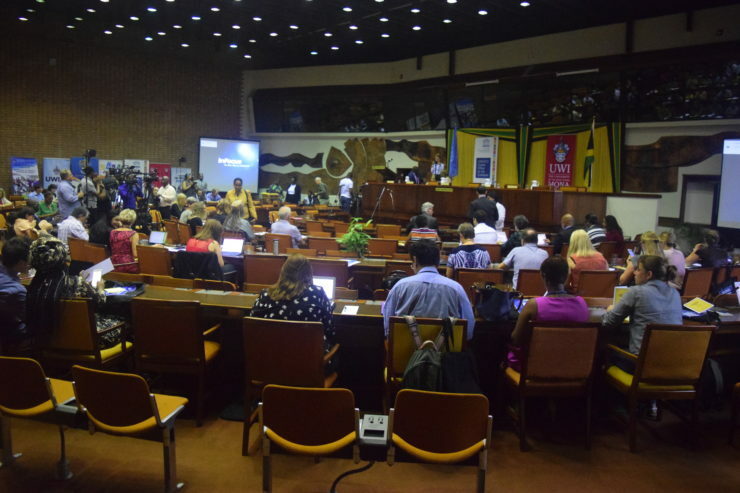 From October 24 to October 26 2017 MMM attended the Global Media and Information Literacy Week 2017 Feature Conference in Kingston, Jamaica, organized by UNESCO and the University of the West Indies. 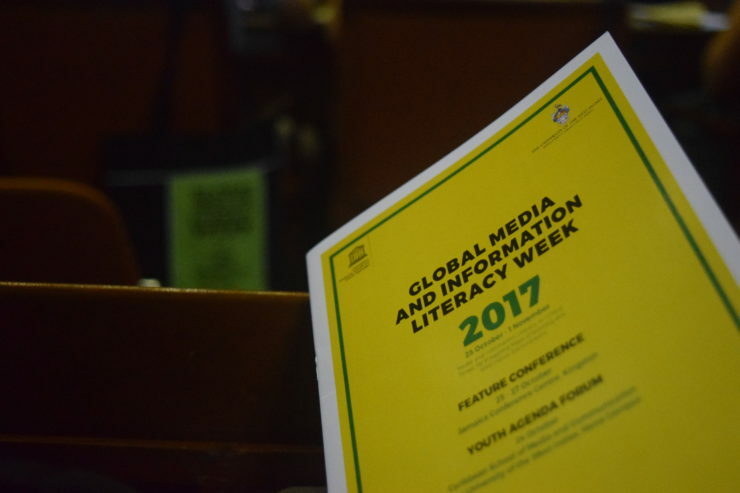 Theme of the conference was ‘Media and Information Literacy (MIL) in Critical Times: Reimagining Ways of Learning and Information Environments’. The conference was perfectly timed as we only just took off with our research. The MMM team could use all the inspiration and connection with colleagues that such an event provides. We learned a lot more on the UNESCO point of view on MIL and what universities and organizations all over the world do on MIL. MMM feels very connected with the UNESCO point of view, taking into account notions of empowerment, human rights and equality. We were happy that we were able to get some time to present our own project in a session on MIL and social inclusion. Below we share some experiences and presentations that inspired us during the three days of the conference. 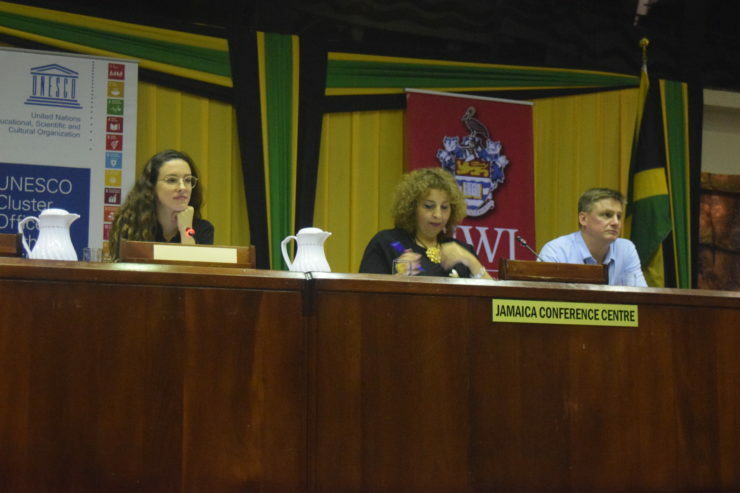 The first day, on October 24, we gathered at the University of the West Indies for a series of presentations and panel discussions organized by youth: the Youth Agenda Forum. It was great to hear the youth speak on a topic which is often about them. Especially the beautifully dressed Adama Lee-Bah from The Gambia left a big impression on the MMM team (and probably everyone else in the room). As a 14-year-old she started asking questions to people around her on female genital mutilation, of which she was a victim too, and found out a lot of people were ‘information illiterate’. In the years after she developed a successful youth radio station in a country where only 2 other radio stations existed: to provide information, give the youth a voice and teach them media and information literacy skills. At the Youth Agenda Forum she quoted a Harvard report on Millennials stating that ‘today’s youth is lazy’, which she convincingly rejected. Her story is a striking example on how MIL can empower, achieve social change and give a voice to the youth. 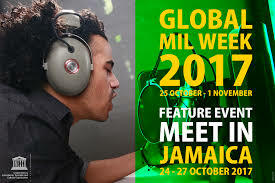 MMM found out that MIL, in a lot of countries, plays an important role in achieving equality, freedom of expression, empowerment of minority groups and social inclusion. For the group we work with in The Netherlands, the young migrants, these notions are at the core of what we do. Hania Bitar (director of PYALARA) from Palestine gave a beautiful example of how her organization empowered youth by making radio and video. She gave us a handbook on media literacy which her organization developed. Although we can’t read it (Arabic), it might be useful to give it to our students, to see what they think about it and maybe translate parts of it. Also the Swedish Educational Broadcasting Company, in the person of Gabriella Thinsz, showed us how they collaborated with a locally famous vlogger to teach media literacy skills in Tunisia. We exchanged contacts with these organizations to find out more on how our projects are related, how we can learn from each other and teach the groups we work with in the best way possible. Through a big range of presentations and interesting keynotes MMM learned a lot about the current academic discourse of MIL. Professor Hopeton Dunn (Director Caribbean School of Media and Education) stated that ‘media literacy is not an end in itself, it is a means towards…’ and also mentioned that ‘access to media does not mean that production, creativity and advocacy are stimulated’. Another interesting thought came from professor Renee Hobbs (Director Media Education Lab) saying that we should go beyond fake news: “fake news is a bad term that conceals more than it reveals”. In this keynote on ‘fake news’ she also stressed the importance of virality, as a process of personal influencers, in the MIL curriculum. Besides these more academic presentations there were a lot of practical examples on how to teach media literacy. Linda Sternö, a film teacher from the Gothenborg University in Sweden, developed a film making ABC with interesting exercises on framing and ownership of images. She also posed the question if the youth need camera education at all. They often tend to have more technical skills than their educators, they know how to film and use it a lot. So do they need us? “Yes”, Sternö said, “because critical thinking doesn’t come by itself.” Also interesting iss the Populism Bingo, developed in Finland to be aware of populistic phrases in media. PS: at the event MIL CLICKS was launched by UNESCO: “MIL CLICKS is a way for people to acquire media and information literacy (MIL) competencies in their normal day-to-day use of the Internet and social media in an atmosphere of browsing, playing, connecting, sharing, and socializing.” MMM will follow this initiative closely.